Have you ever had your toddler tearing a loved book and then thought “It’s such a pretty book and story, I might be able to do something with it”. Yes, that’s what happened to our book. 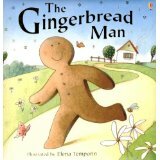 W tore a couple of pages to bits, but I knew I would find a lovely idea for using the Gingerbread man debris. 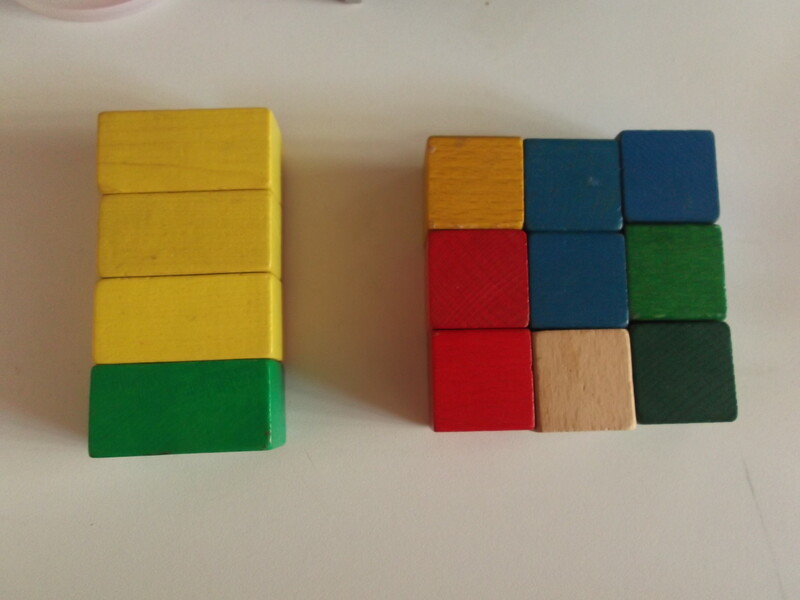 I had written this idea some time ago when I saw a puzzle made of wooden blocks and I recalled it this week for being puzzles week. 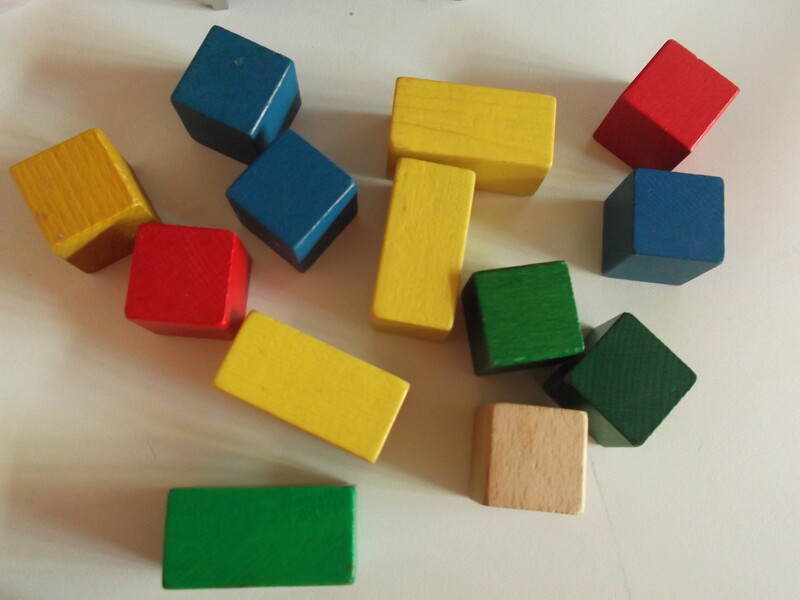 Then, depending on the shape you want your puzzle, you would lay out your blocks either in line (pretty much to do like with the lolly sticks from yesterday’s post) or in a square shape. 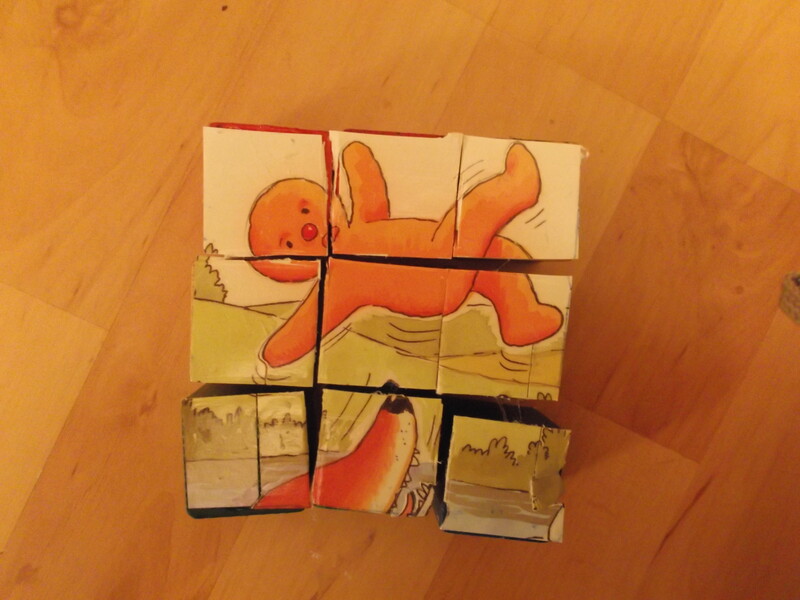 Luckily we had enough images from this torn book to be able to tell the whole story in 6 images (the six sides of the blocks that you will need to cover) and you will be able to tell your story through your puzzle. Now if you want you could listen to this story in Spanish from Latin America “El hombrecito de jengibre” or “El hombrecillo de bizcocho” if you prefer the Spanish accent from Spain. 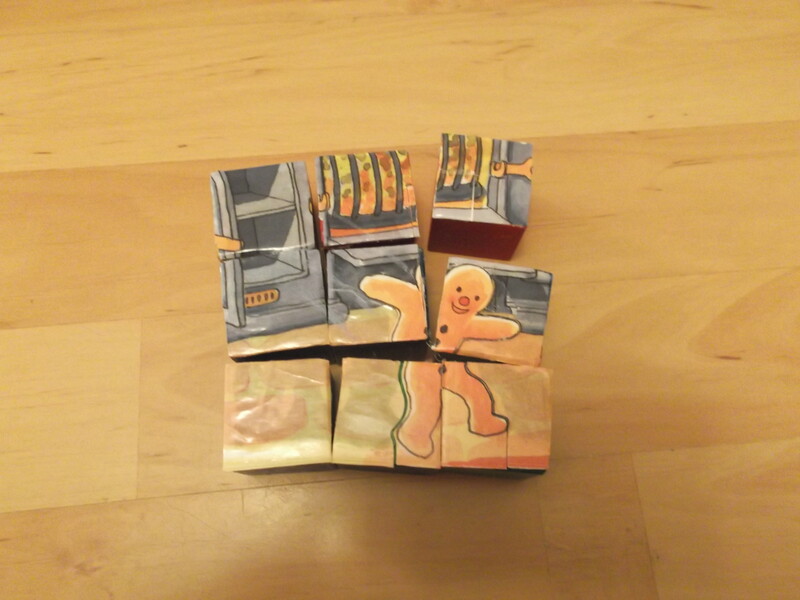 This entry was posted in Crafty Projects for Children, Homemade Toys and Games Ideas, Of Books and Illustration & Imagination and tagged blocks puzzles, cuentos en rompecabezas, el hombrecillo de jengibre, haz tu propio rompecabezas by Bodymindsoulparenting. Bookmark the permalink.